When developing my web sites I need to test them with Internet Explorer, after all it’s the most used browser. 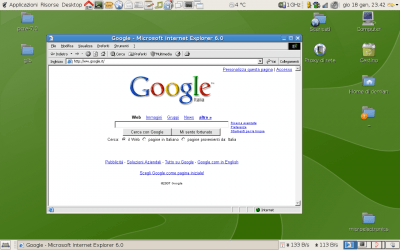 As my home computer (running Windows) died, I tried IEs4Linux. Si, anch’io lo uso per scopo testing. Molto utile.